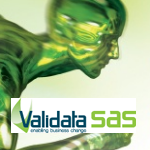 Validata SAS Automated Lifecycle Management (ALM) suite is a central platform for integrated tools, built for the Banking and Finance sector, focused on managing core automated lifecycle activities from requirements through testing and configuration management allowing banks to encourage best practices by capturing and reusing project assets and process knowledge. Validata SAS is expanding the ALM suite in response to the key trends in the marketplace. Validata SAS streamlines the entire ALM lifecycle from business flow modeling, requirements visualization and project planning; configuration management and data integration; build and release management; end-to-end automated testing; defect and change management; and configurable Dashboards. 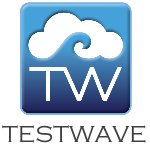 TestWave is a full featured software test management tool delivered via the Cloud. 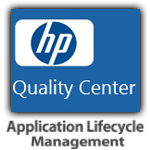 It stores test scripts, records execution and results, tracks defects and maps testing onto requirements and releases. It also integrates with automated tools. 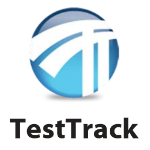 TestWave stores all your test assets in one place, letting the whole team keep up with progress in real time. 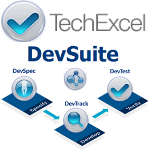 Compared to using spreadsheets, it improves test efficiency by an estimated 20-30% and reduces the scope for error. No servers and no installation are needed - your team can start at once. 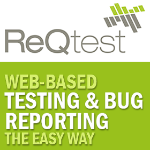 It works well from all over the world, and your existing test data can be bulk imported into the tool. Zephyr Enterprise Edition is a real-time test management platform that manages all aspects associated with software quality, integrates various test tools and systems, offers global access, fosters collaboration and provides management visibility. Zephyr Enterprise Edition is best suited for departments and enterprises that have mature processes, run multiple projects in parallel with very structured testing cycles, and a lot of automated and/or manual testing. NeoLoad is a load testing software solution for web & mobile applications, which simulates large number of users and analyzes server behaviour. Its monitoring modules identify performance bottlenecks, allowing to correct them prior to production, thereby enabling to assess the performance and reliability. 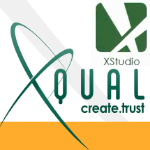 It can be deployed on Internet as well as intranet or mobile applications and supports other technologies such as Flex, Silverlight, GWT and Ajax Push. BlazeMeter is a self-service, load and performance testing cloud, compatible with open source Apache JMeter™, the popular performance testing framework. 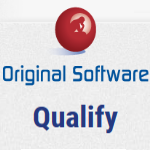 An optimal solution for developers and Quality Assurance (QA) professionals, BlazeMeter provides an enterprise grade, JMeter environment with unlimited load testing capacity, comprehensive, interactive real-time reporting and sophisticated result analysis and recommendations. Build a dedicated, virtual load testing lab in the cloud, requiring only a browser with a choice of 7 multi-geo locations, including California, Virginia, Oregon, Tokyo, Ireland, Singapore and Sao Paulo.